My daily walk to work takes me through West Point’s cemetery. 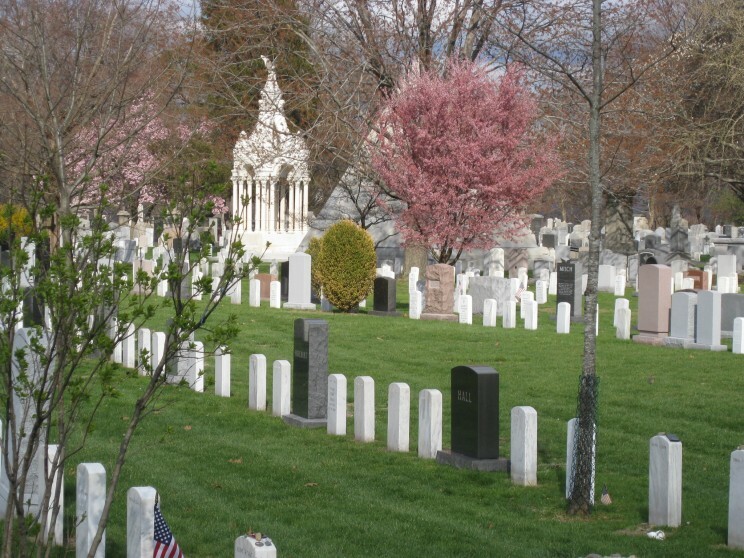 Founded in 1817, the cemetery includes the graves of soldiers who fought in the American Revolution, and in all of the wars our country has fought since. I often stop and reflect on the lives of these men and women who are interred here. Many headstones are of West Point graduates who were killed in World War II, including several on D-Day. Others fell in the Civil War, the Spanish-American War, World War I, and Korea and Vietnam. One section holds special significance for me, since it contains the graves of former cadets and colleagues I have known in the past 14 years who died in Iraq or Afghanistan. No matter how preoccupied I may be with the vagaries of day to day life, a sense of peace and calm envelopes me as I stroll among the headstones. I feel I am among friends and comrades and there is a sense of connectedness with the past. One of the soldiers interred at West Point is Lieutenant Christopher Kurkowsi. Chris graduated from West Point in 1986 with a degree in Engineering Psychology. He became an artillery officer and was killed on 26 February 1988 when the helicopter he was in crashed while on a routine training mission. At the time of the accident, Chris’s academic mentor at West Point, Lieutenant Colonel Timothy O’Neil, had initiated paperwork to send Chris to graduate school in psychology with a follow-on assignment to his old department at West Point. According to Lieutenant Colonel O’Neil, Chris would have made a tremendous psychologist and professor. Chris’s death exemplifies the loss of talent and potential of all of the soldiers buried at West Point. 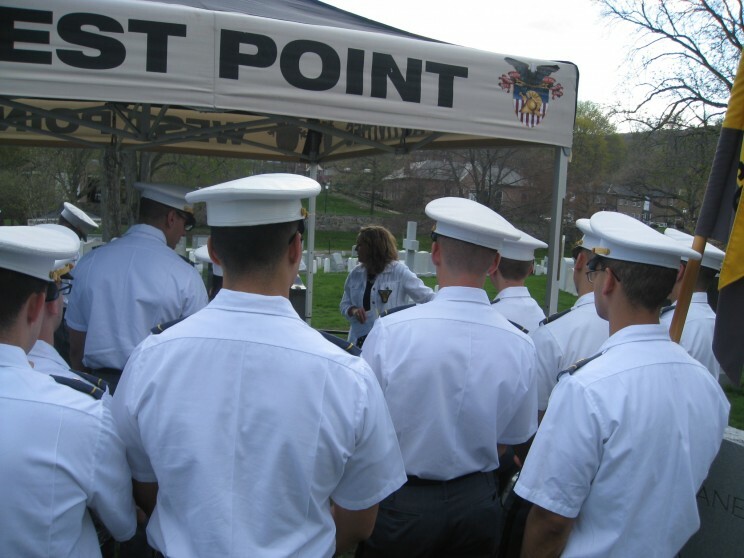 Earlier this month, West Point held its annual “Inspiration to Serve” cemetery tour. All members of the West Point Class of 2016, who are finishing their second of four years of academic study and military training at West Point, participated. On this day, classmates, family, or friends of the fallen stand by a gravesite, and tell the story of the deceased to the cadet attendees. Of special interest this year, MaryEllen Picciuto, one of Chris Kurkowski’s classmates, told his story of service and sacrifice. The cadets stood respectfully and listened intently, as Ms. Picciuto brought Chris back to life through her remembrances. As she did this, other cadets stood by other graves, hearing the life story of other West Point graduates who gave their lives in the service of our country. As a Nation, our move to an all volunteer force has distanced most Americans from direct experience and knowledge of the military and the men and women who serve. Cognitive psychologists make a distinction between semantic and episodic memory. The former is memory of generalized facts that are not part of our own personal experience. The latter, in contrast, are of events personally experienced. Think about your own memories. Those that are episodic are likely more vivid and tangible, and perhaps have more meaning in your own life story. You “know” from semantic memories, but you can “feel” in episodic memories. Perhaps this Memorial Day, in between picnics and family activities, you can visit a veterans cemetery. Walk among the headstones, read the inscriptions, and reflect on what these men and women sacrificed for our Nation. Like Lieutenant Kurkowski, they had dreams, ambitions, life goals, and family and friends who loved them. Through such a visit, perhaps you can form an episodic memory by honoring the fallen for their service, and in doing so forge a more personal connection with these American heroes. Photos courtesy of Michael D. Matthews. Used with permission.